That is where Bryan Miller asked me a question that sparked this episode. Where should I buy cheap gear? I pulled answers from some past guest of this podcast to get a well rounded answer for you and for Bryan. 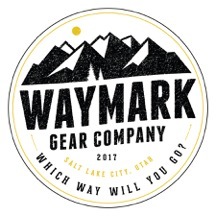 I suggest going to MyTrail or REI Those are my affiliate links. Check out to see if they have discontinued items or a blowout sale - those are always a cheap route! Nick Lenn from episode 37 mentions the Columbia Outlet Store where you can buy cheap Mountain Hardware jackets and shoes at a great price. Kate Hoch aka Drop N Roll from episode 37 suggest the $300 backpacking setup from PMags it is called the Frugal Backpacker. Lisa Holmes from episode 34 lives in the Portland area and loves the store there called Next Adventure. Used hiking and backpacking gear for those that live in the area. Bryan Schaeffer from Best of the Northwest and episode 24 suggests a few spots like TJMaxx, Sierra Trading Post and Goodwill. I think Goodwill will have some good stuff, though it is hard to tell when the gear would be put out into the store. Jessi Lorech from episode 5 mentions another great article that is on WTA called Dirt Cheap Gear. Shannon Cunningham from episodes 1 and 35 says Play It Again Sports which is a used sporting goods store and Offer Up. Offer Up would be a lot like Goodwill without having to go into the store!